A portable recording device is useful for on the go recordings of any kind. These are usually handheld devices that can be used to record music, cialis sounds of any kind, pilule conversations, buy and thoughts – just about anything. Of course professionals require it to tape interviews or to record their music. So what are the top three essential things which you should be looking out for when buying these digital recorders? Internal or external microphone: Do you want an internal microphone or an external one is more appealing to you? Take a closer look at your work field and find out which one your nature of job requires more. Some devices have both internal and external microphone while some have only one. Others have built in microphones so you don’t have to worry about carying additional gear. Memory: How much memory do you need? Do you use and store a lot in your device? Again, assess your requirement to come to a conclusion about it. Pay attention while buying though, because many come with microSD or SD card support, while others do not. It is always good to have some additional features. Not having a microSD or SD slot may be a disadvantage. Accessories: Do you need a tripod, a Pop Filter or windscreens for better recording? Make sure all your necessary accessories are present in your device before purchasing it. If you need only one accessory then pick any one that has it, but we suggest you always pick the ones which come in a wide range of accessories. 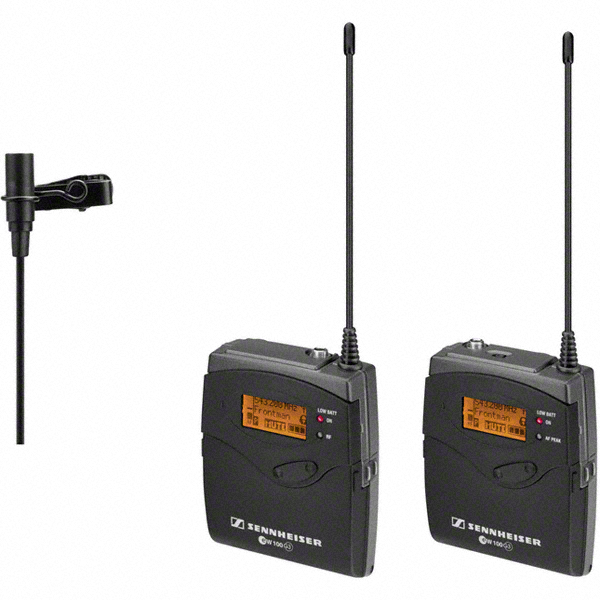 Zoom H4: The Zoom H4 is our favourite portable recording devices in the 200 USD price range. and comes with prominent features such as noise cancellation, windscreen, etc. 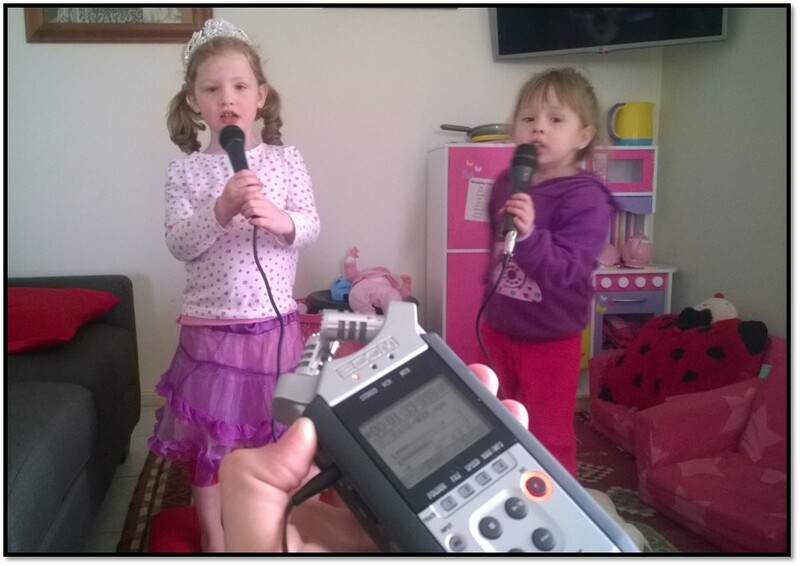 Today was a pretty lazy Saturday and my girls wanted to put on a “singing show”. Usually I just sit on the couch and watch (after one of them charges me a pretend admission) but today I thought I would step it up a bit and let them loose with the Zoom H4n and my microphones. 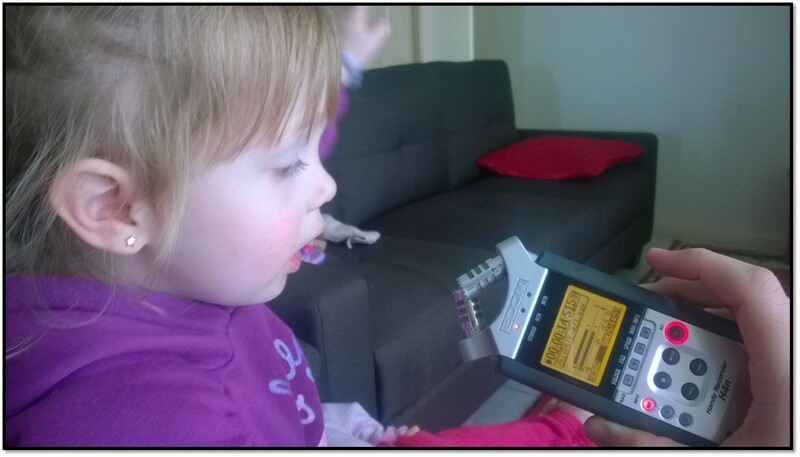 The biggest challenge with four year olds and microphones is ensuring that they have them close to their mouth as much as possible so you can capture their voice consistently. My two in particular decided they wanted to throw some dance moves in which impacted the volume of the recording as they moved the microphones away from their mouths… but to be honest that doesn’t really matter does it! After our puppy got tangled up in the XLR cables we decided to try singing using the built in stereo microphones on the ZoomH4n. After packing all the microphones and cables away, I sat with one of my daughters on the couch to record her tunes. The first thing to remember is that when you switch from external microphones to the built in microphones on the Zoom, you need to press the “Mic” button (the small red button on the left hand side of the Zoom in picture). Otherwise you will not capture any audio at all! In this scenario where I had a very enthusiastic four year old, with the microphones so close to her mouth I needed to reduce the recording level down to about 40. Otherwise it was just hitting the limits when she was starting to belt out a tune!